Two American astronauts have completed the first stage of urgent repair work outside the International Space Station ahead of schedule, but a spacesuit issue has delayed a second spacewalk to revive the crippled cooling system. 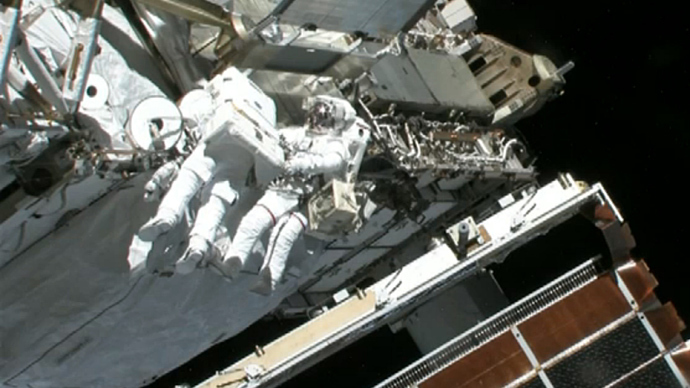 Rick Mastracchio and Michael Hopkins successfully removed an ammonia pump with a faulty valve in during a spacewalk that lasted for 5 hours and 28 minutes, instead of the 6.5 hours originally planned. “An early Christmas,” commented Mission Control as Mastracchio unplugged the pump way from its nest. The Mission Control center wanted to continue the repairs but Mastracchio, who was feeling cold and uncomfortable in his spacesuit requested to go back without elaborating on particular problems. “I'd like to stow this old module and kind of clean up and call it a day,” he said. During the return, Mastracchio inadvertently turned on a water switch in the air lock, compromising his suit, AP reports. NASA has decided that the astronaut will have to prepare a spare suit, pushing the second spacewalk to Tuesday instead of Monday. If the repairs continue to keep pace, a total of two spacewalks instead of three might be needed and the astronauts still have a chance to finish the work by Christmas. But if the third spacewalk is needed, it will take place not earlier than December 26, since NASA requires a day off between spacewalks for astronauts to rest. During the space trip on Saturday, Mastracchio, a seven-time spacewalker was aided by debutant Hopkins. Both men wore extra safety gear as NASA was worried about the possibility of a helmet malfunction, like the one that almost drowned an Italian astronaut in the summer. 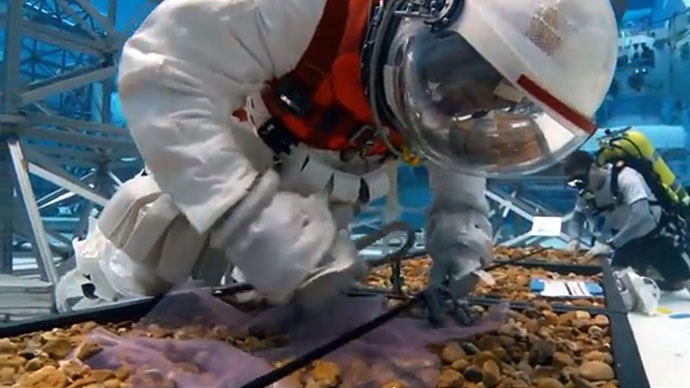 This time the astronauts were equipped with water-absorbent pads in their helmets and had snorkels in their suits in case a helmet should start filling with water again. NASA was forced last week to reroute coolant systems when one of the station’s coolant loops, Loop-A, automatically shut down due to a temperature fluctuation. The initial problem was detected on December 11. 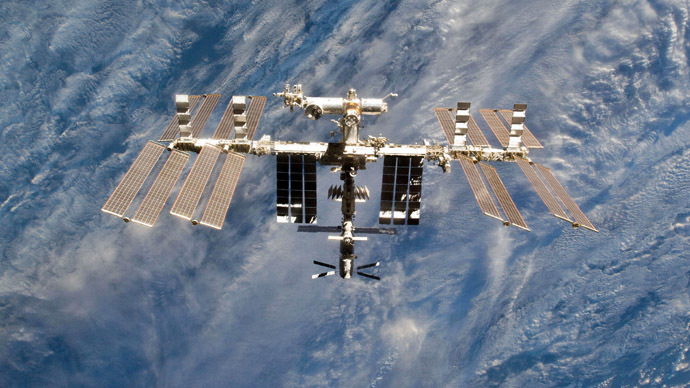 The ISS crew proceeded to move certain electrical systems over to the second loop. The two coolant loops on ISS circulate ammonia to keep internal and external equipment cool, and although the situation is serious it’s not critical, Dr. Patrick Fullick, founder of Capital Science Connections told RT. 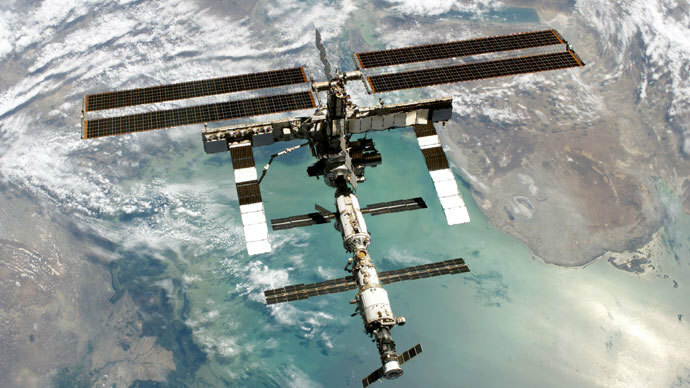 Saturday’s pump replacement mission was only attempted once before at the ISS in 2010. The crew that worked on the pump three years ago, Doug Wheelock and Tracy Caldwell-Dyson, were helping Hopkins and Mastracchio from Mission Control. Removal of the 354 kilogram pump the size of a refrigerator is dangerous because of the toxic ammonia. 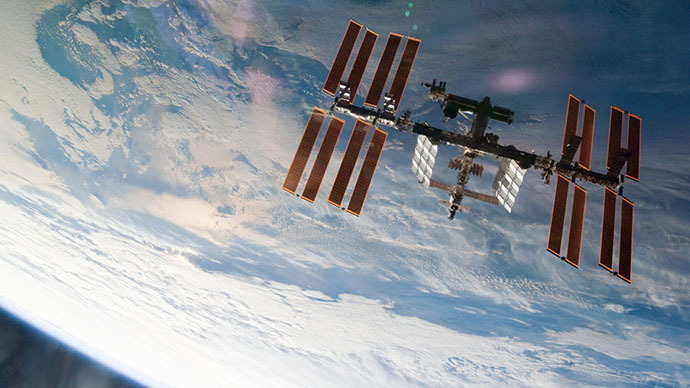 Any traces on the spacesuits of the astronauts had to be removed before the crew could re-enter the ISS. Saturday’s spacewalk was the first one by American astronauts since July, when Luca Parmitano’s helmet was flooded with water from the cooling system of his suit. In November Russian cosmonauts from the previous mission to ISS took the torch for the Sochi 2014 Winter Games out for its first-ever spacewalk. 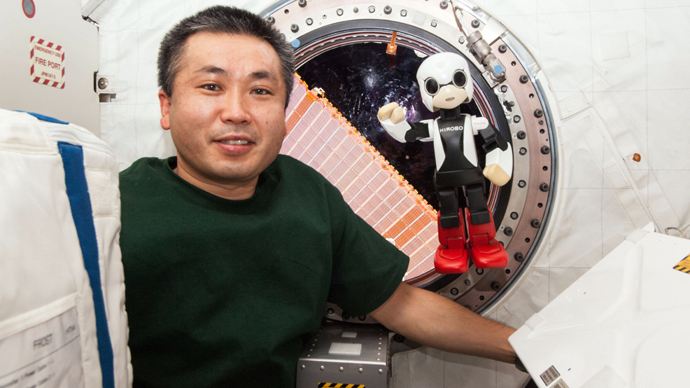 Besides the two Americans, the current mission consists of three Russians and one Japanese crew member living inside the International Space Station.